Two works from a proposed series first exhibited as part of "Color Shift," curated by Jordan Tate. 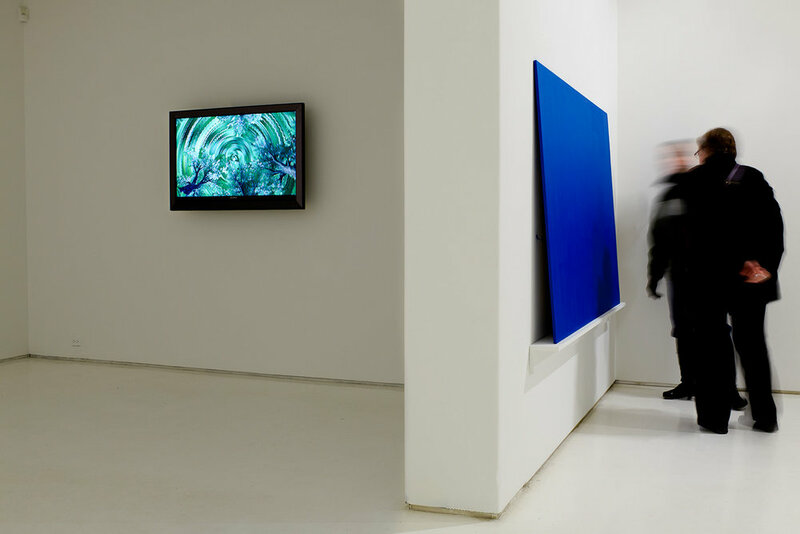 The pieces are based on photographs collected online from museum visitors' depictions of Yves Klein's "Blue Monochrome" (1961) at MoMA. 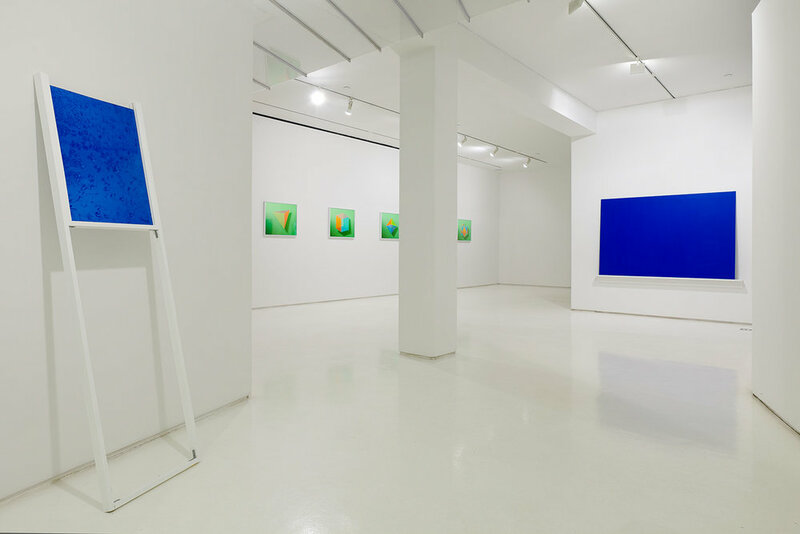 Each work shares dimensions similar to Klein's original—approx 72" x 48"—and was constructed of uncoated drywall with blue painter's tape delineating only the architectural dimensions represented in the photographs. Sketch for "Installation View #1 (MoMA, Blue Monochrome, 1961, Yves Klein)"
Sketch for "Installation View #2 (MoMA, Blue Monochrome, 1961, Yves Klein)"
Detail of "Installation View #1 (MoMA, Blue Monochrome, 1961, Yves Klein)"